Our Organic Spirulina Powder is one of the most complete food sources you will ever find. This amazing green powder has the ability to provide the body with a complete source of protein and most all of the body’s amino acid needs. Our Organic Spirulina is rich in Vitamin B12, and contains 3900% more beta-carotene than carrots. Spirulina (speer-U-lee-nah) gets its name from its microscopic spiral shape, and this one-celled algae transfers its mighty ability to endure harsh conditions to the human body via our Organic Spirulina Powder. Spirulina grows naturally in a hot, alkaline environment, and can survive where no other organism do. In fact, it thrives in challenging situations, sometimes growing and getting stronger in temperatures over 160 degrees F.
Spirulina may be the ultimate superfood, providing a complete source of protein with all essential amino acids, the building blocks of protein. Our Organic Spirulina Powder is packed with more protein than soy, making it a great meal supplement for vegans and those with allergies. In addition to its copper, and selenium content, our Organic Spirulina Powder contains rich amounts of zinc and easily absorbable iron. Spirulina is unique because it is one of the few plant-based sources of Vitamin B12. Would you believe that our Organic Spirulina Powder contains 3900% more beta-carotene than carrots? 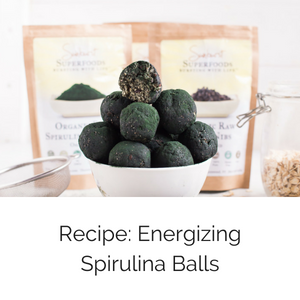 Adding our Organic Spirulina Powder to juices, shakes, and smoothies gives you an arsenal of nutrients to promote healthy eyes and a strong immune system. Just three grams of our Organic Spirulina Powder possess more phytonutrients than five servings of fruits and veggies and 300 times more calcium than milk. Our Organic Spirulina Powder is wonderful support for those suffering from osteoporosis and for growing children. It is a low-fat alternative to calcium-fortified beverages. Spirulina has been reported to keep cholesterol levels in check and to lower blood pressure. Our Organic Spirulina Powder is a powerful antioxidant and anti-inflammatory. It promotes the formation of red blood cells and the growth of beneficial probiotics in the digestive tract. Scientists suggest that consuming spirulina on a daily basis aids in better brain function, memory, and learning abilities. 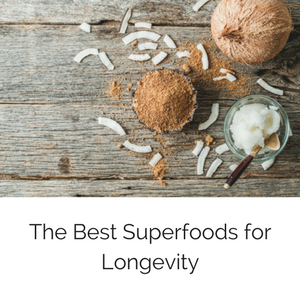 It is also reported to reverse signs of aging. 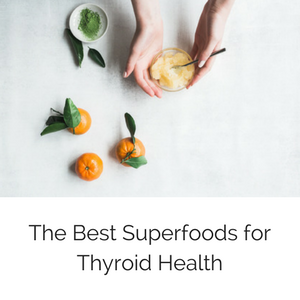 One of the most unique properties of our Organic Spirulina Powder is that is a good source of iodine and potassium iodide, which is an essential chemical element for good thyroid function. The thyroid produces hormones that regulate growth and metabolism, and iodine deficient diets have shown to lead to stunted brain development in children, mental slowness, high cholesterol, fatigue, weight gain, depression, and goiter (swelling of the thyroid). Our Organic Spirulina Powder is absorbed more slowly and safely than synthetic sources of iodine. Experts have reported that the iodine in spirulina powder can protect against radioactive iodine from radiation exposure. Some say that spirulina has more nutrients per gram than any other food source in the world. This blue-green algae has the characteristics of the green pigment in chlorophyll and the blue pigments in phycocyanin. Spirulina is found mostly in freshwater lakes and ponds, where it grows in an extremely clean and sterile environment because no other organisms can survive the hot, harsh conditions that it thrives in. Spirulina has been consumed for thousands of years by the Aztec and Mayan people, as well as natives of African and Asian nations where it is still revered as a source of nutrients and medicinal healing. Our Organic Spirulina Powder is highly digestible, and tastes great when mixed in smoothies and shakes with a little cacao, coconut, fruits, and other greens. Our spirulina may cost a little more than what you see on other sites for two reasons. First, our spirulina is organic. Second, it's a raw product, meaning that it was dried at low temperatures to preserve the full enzymatic and nutritional value of the food. Most, if not all, of the cheaper spirulina powders on the market have been spray-dried, which is a process where very high temperatures are applied to the spirulina as a means of quickly and efficiently drying it into powder. The unfortunate side-effect of this drying process is that it destroys the beneficial enzymes in this amazing product. In short, with spirulina powder, you get what you pay for. With so much concern about heavy metal contimination in spirulina, most of the organic spirulina available is now tank-grown rather than grown in waters. Therefore, our Organic Raw Spirulina Powder is grown in tanks to ensure that it is 100% organic, and not contiminated in any way. We package all of our superfood powders in brown kraft bags, each with a resealable zipper across the top. Each bag has a thin metal lining, which serves as a very effective barrier to light, oxygen, odors, flavors, moisture, and bacteria. While printed plastic bags with clear windows may look beautiful, studies have shown that the toxins contained in the plastic are absorbed by food that is in direct contact with the plastic. 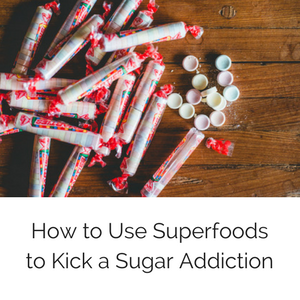 Foods that are raw, like superfood powders, are even more susceptible to this type of contamination than processed foods. As a health and fitness practitioner I can tell you I've tested so many different company's products for a sufficient period of time. Therefore, it didn't take me long to realize this company stands out far above the rest in every aspect. I recently received my first of two orders and I've been more than impressed with every single product In reference to this particular review, the Spirulina is superior! It's noticeably fresh and the taste is pleasant and the usual off-putting smell I often detect is absent from this product. Yet, the benefits associated with it are still quite noticeable to me. How it's sourced is an important factor as well. So this is an all-around great company. In addition I love the neat, sturdy packaging, very nicely done. lastly, customer service is very helpful and so are the blogs! This company should be a model company for others. Please, Please don't change a thing! This is high quality and tasty spirulina at an excellent price! I will be reordering!